Courvoisier VS Cognac is a popular Brandy and Cognac available from Waitrose Cellar in 1l to buy online. Visit Waitrose Cellar for the best price for 1l of Courvoisier VS Cognac or compare prices on our other Brandy and Cognac products. Courvoisier Cognac VS. Legend has it that Napoleon held Emmanuel Courvoisier's cognac in such high esteem that he took with him hundreds of bottles to enjoy during his years in exile. This reserve became known as "Le Cognac de Napoleon", a description still proudly bourne today on all Courvoisier cognac. Courvoisier VS (Very Special) is a mouth-watering blend of cognacs aged for up to eight years. Grapes from the Fins Bois and Petite Champagne crus give complex fruity notes, richness and depth unmatched by any other VS on the market. You can buy Courvoisier VS Cognac online in most retailers and find it in the Brandy and Cognac aisle in supermarkets but we found the best deals online for Courvoisier VS Cognac in Waitrose Cellar, DrinkSupermarket.com, Tesco Groceries, and others. 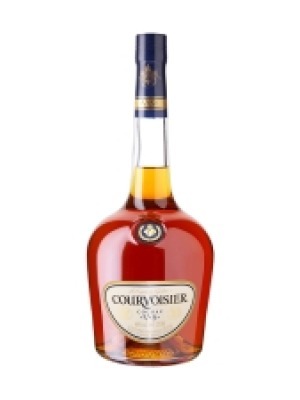 Compare the current price of Courvoisier VS Cognac in 1l size in the table of offers below. Simply click on the button to order Courvoisier VS Cognac online now.